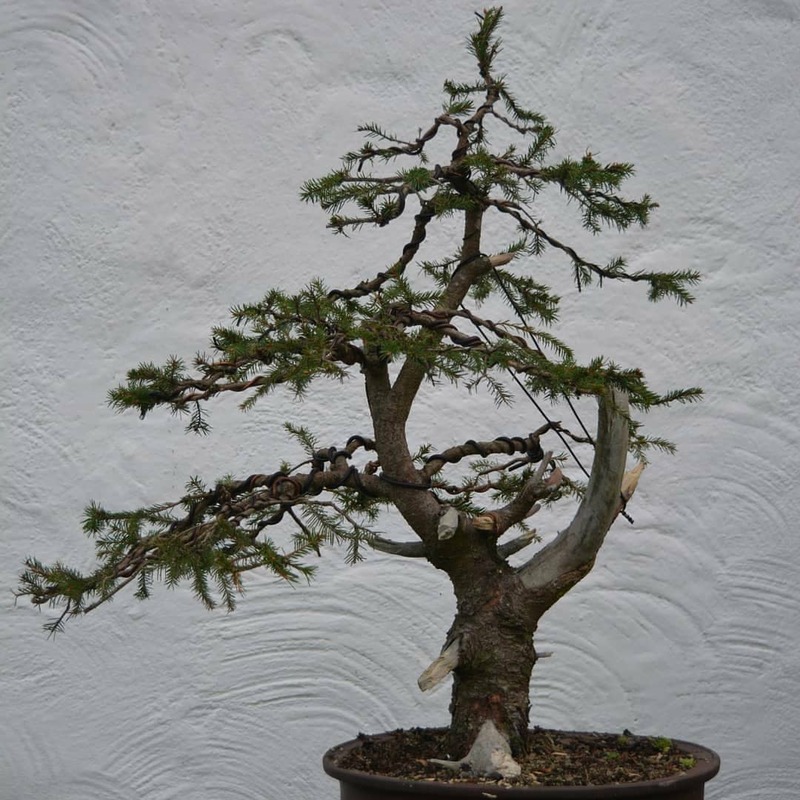 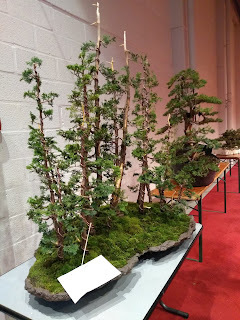 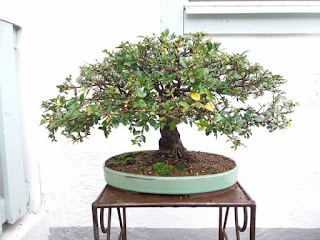 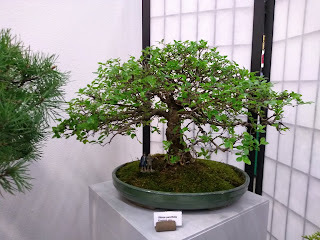 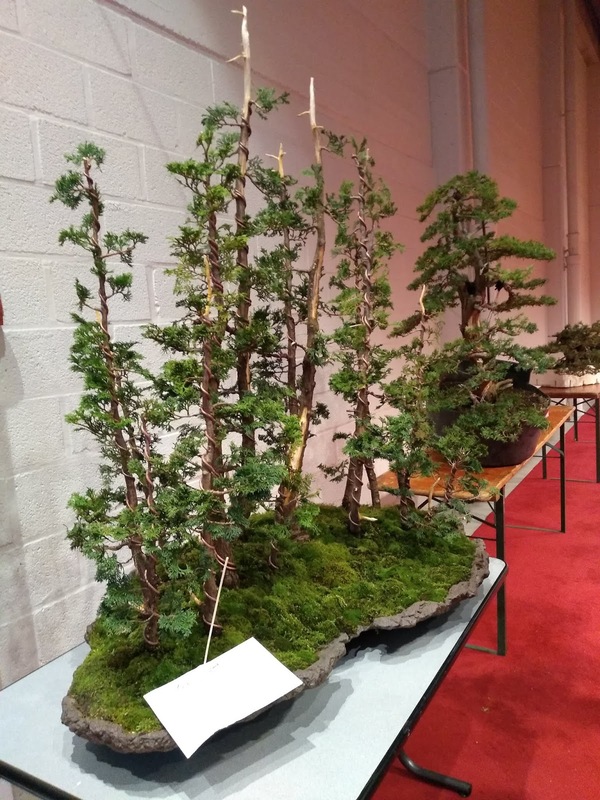 In February I attended The Trophy, 20 years of bonsai anniversary in Genk, Belgium. 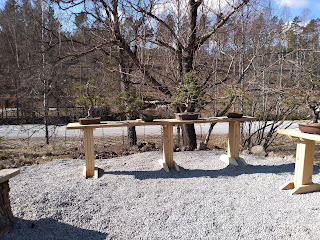 There where many wonderful bonsai and the exhibition was fantastic as always. 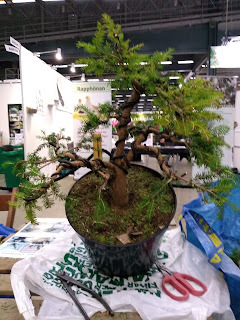 This year was The Korean Dream Team invited to do some demos. One of them was this fantastic forest. 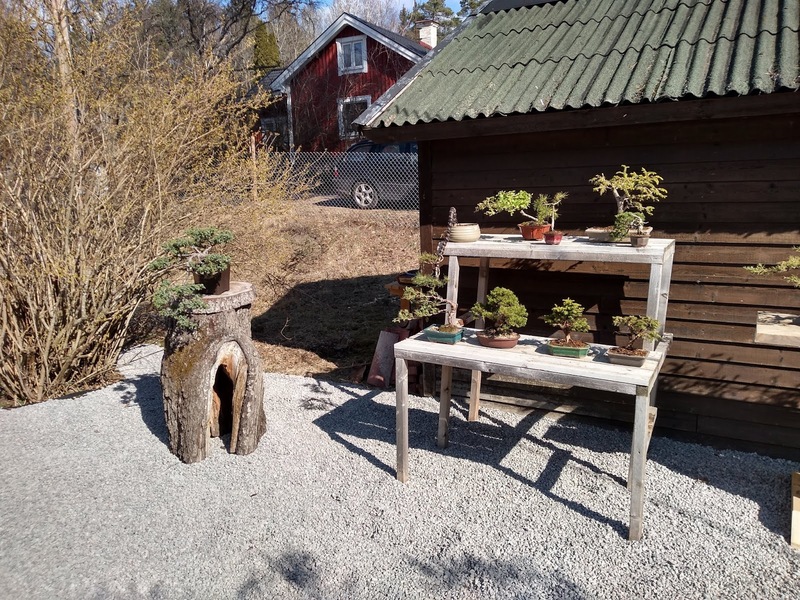 They could choose material from over 50 plants. 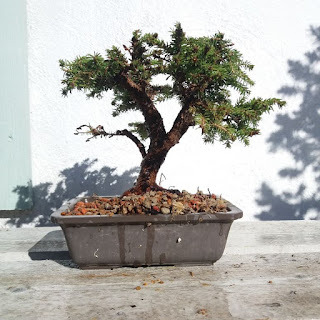 last year I received this wonderfull material as a gift from one member of our bonsai association, Leopold. He got this tree from the roadside some couple of years before. It was initaily choped down by machines that keep the roadside clena from busches. 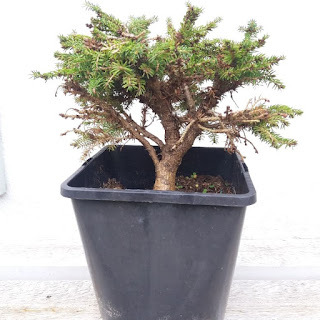 The previous owner didn´t wanted to take care of it because ot its weight. 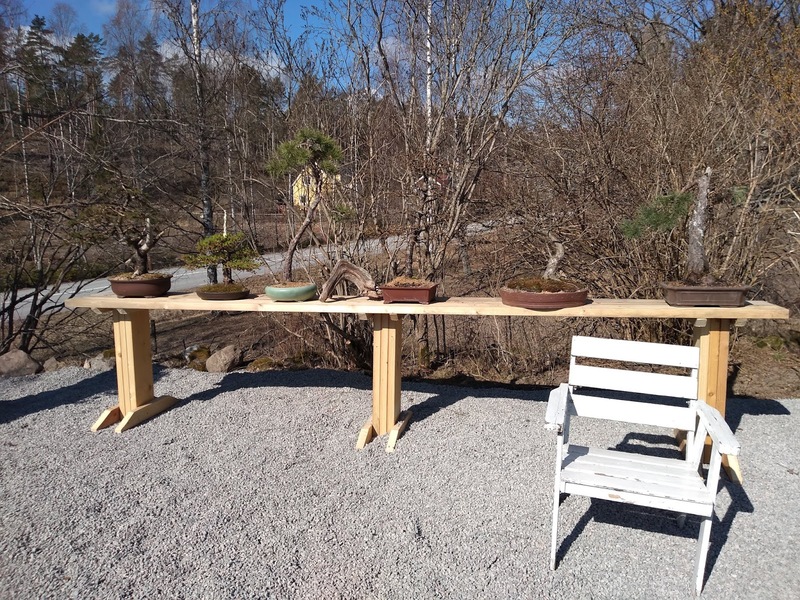 The diameter of the trunk is close to 20 cm and the whole pot is very heavy. 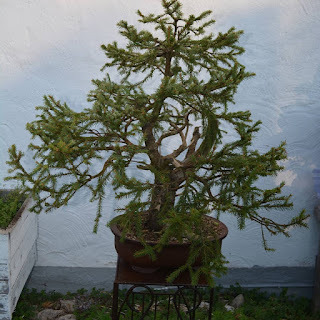 I gave it it´s second styling and design and choosed the "backside" as it new front. 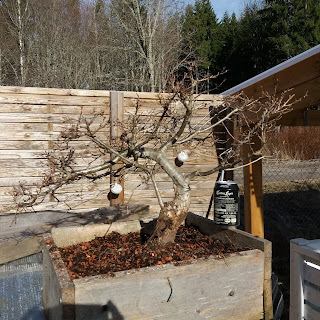 I also repoted it lightly in a new substrate and soil. 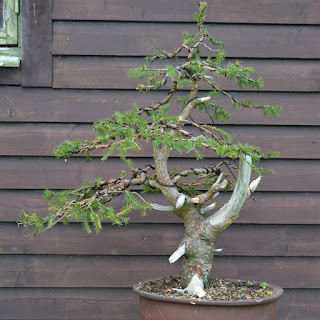 this year I will take this one with me to the SBR spring workshop in Gothemburg, whre I will consult Master Harry harrington on the best way to carve on it and to reduce those big jins. 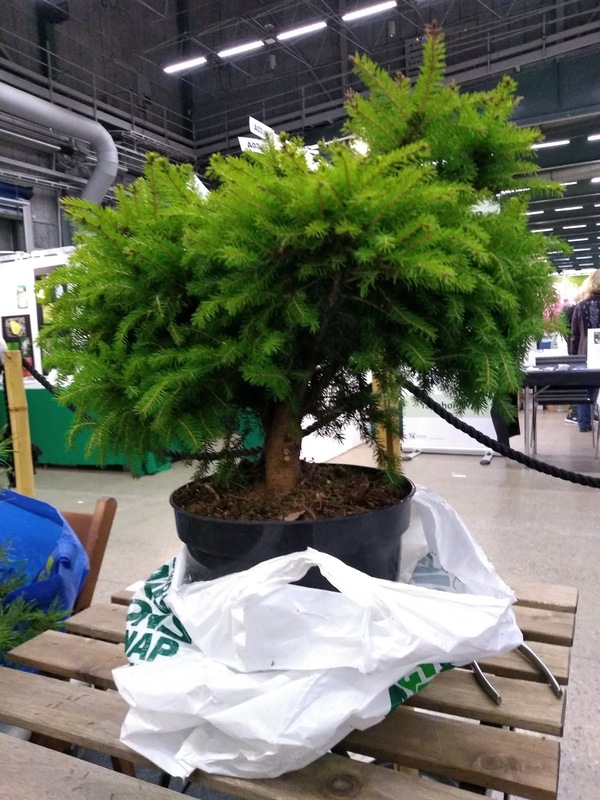 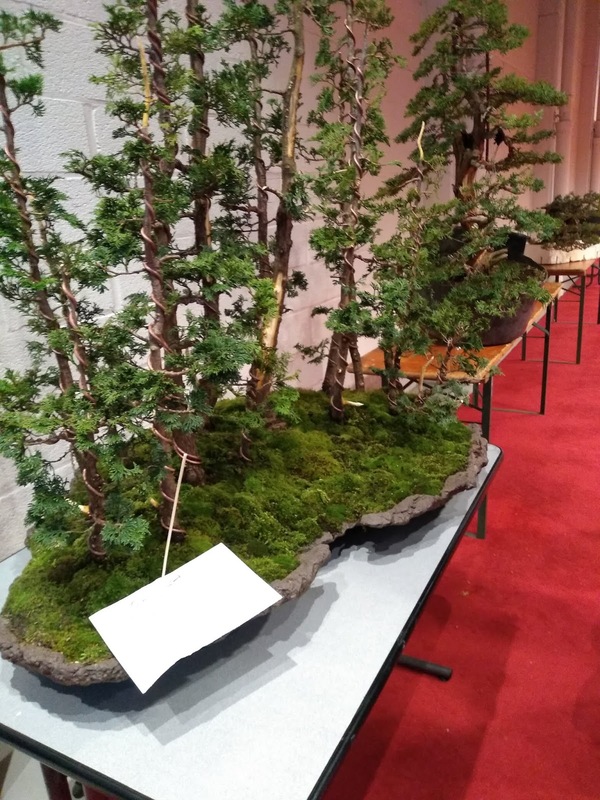 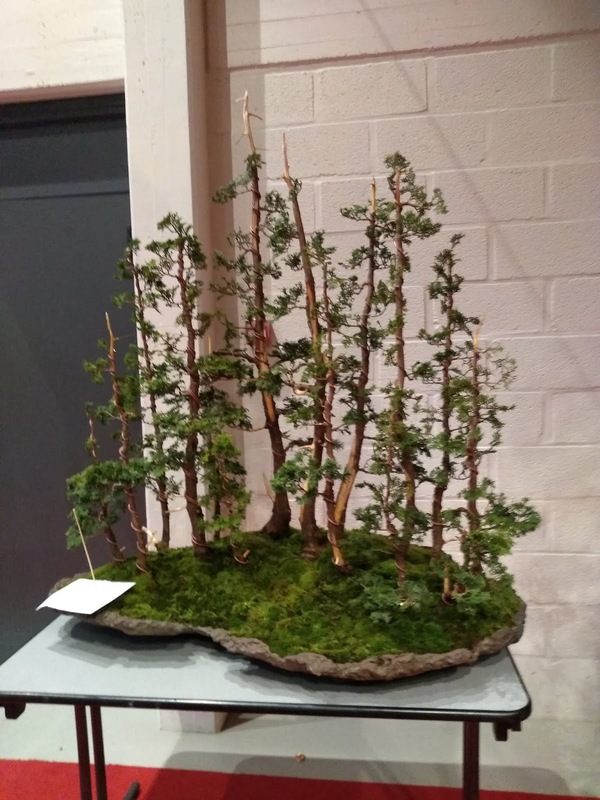 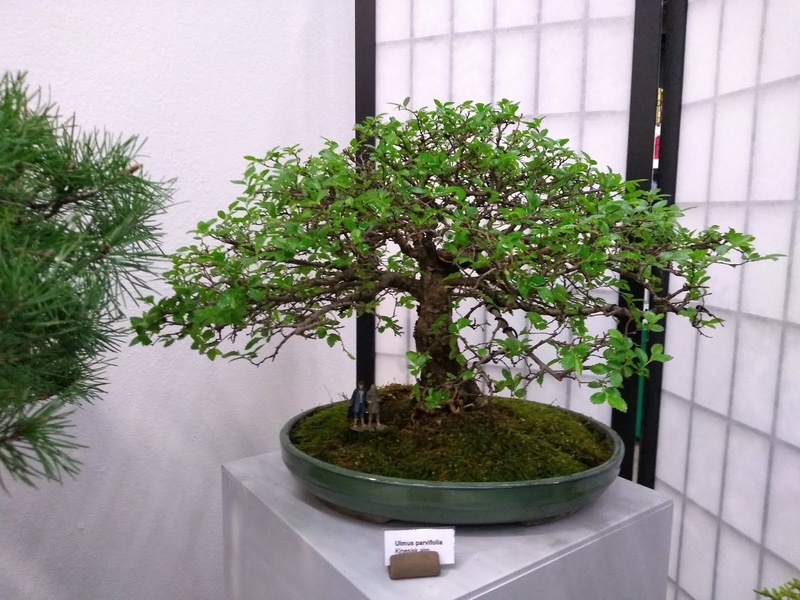 The Swedish Bonsai Association had the opportunity to show some of our members trees at the Annual Nordic Gardens fair in Stockholm. 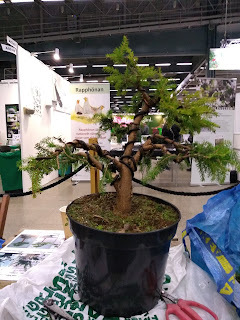 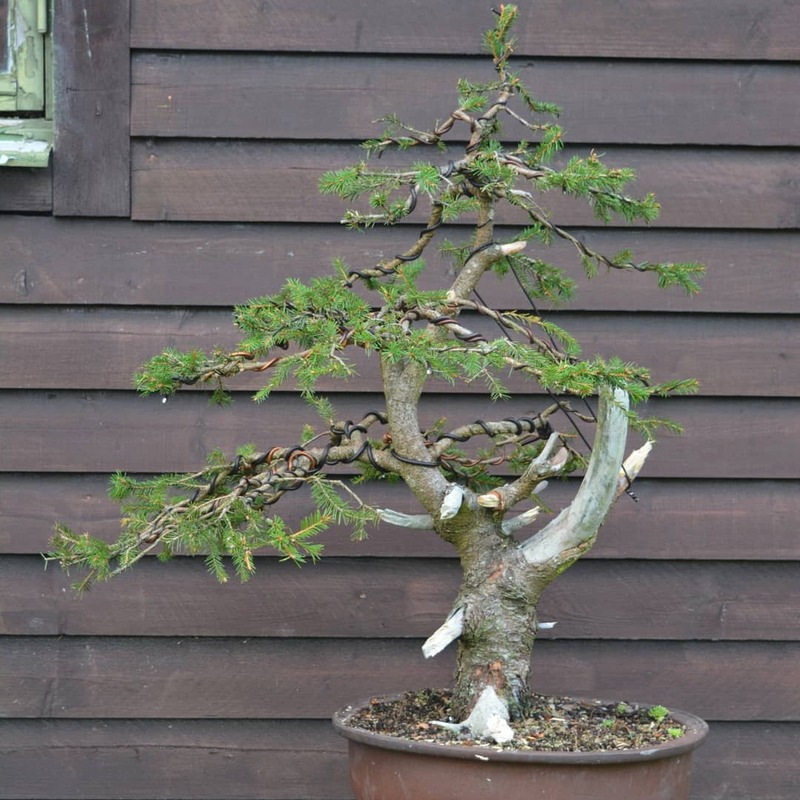 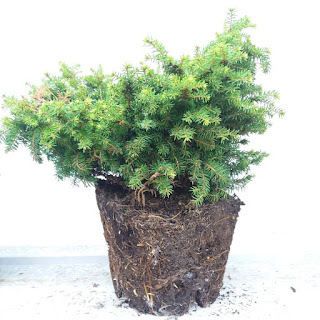 I took with me a spruce picea nidiformis that I worked on as a minidemo. 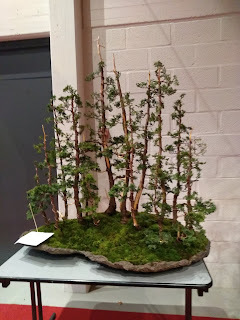 I gave its first styling and positioned the branches in place. 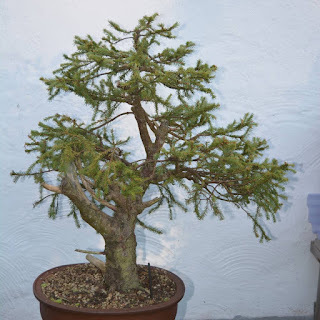 I choose this variety because of its smaller needles. 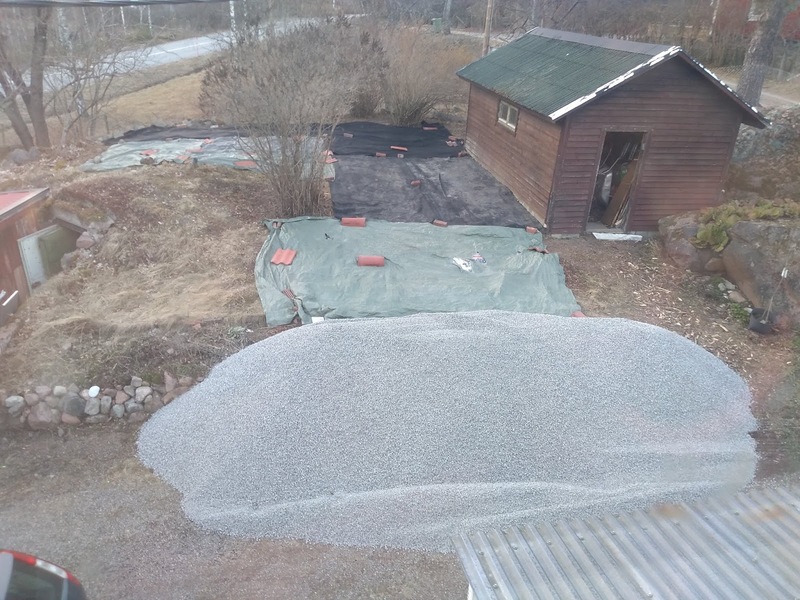 The groundwork is now set. 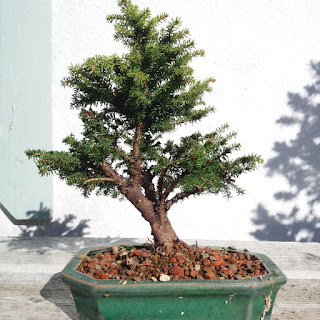 Next year repotting. 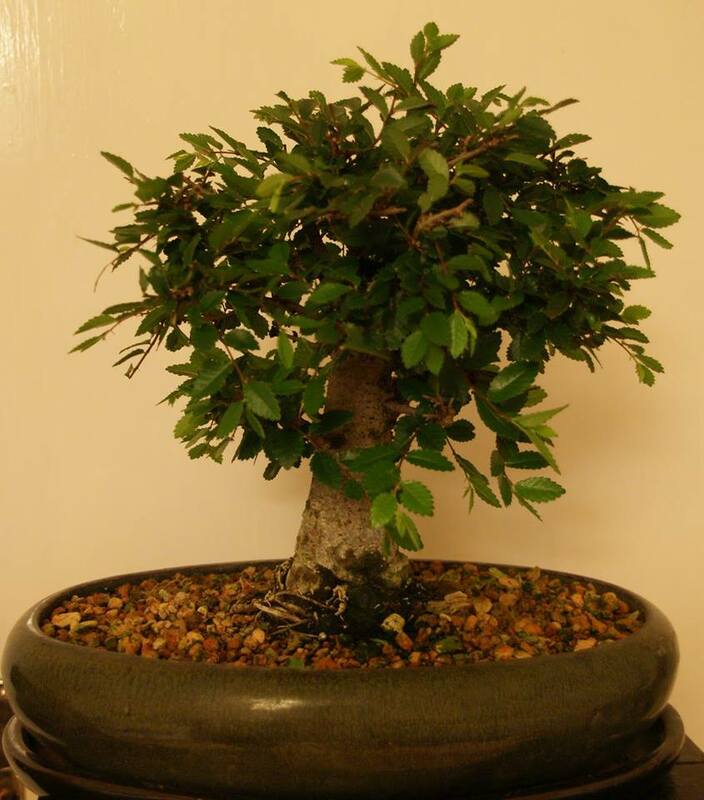 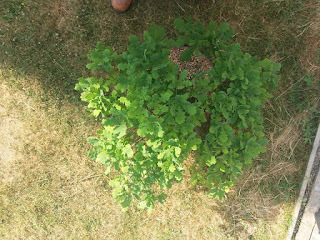 This one is a Ulmus parvifovila, chinese elm that I purchased 2009. 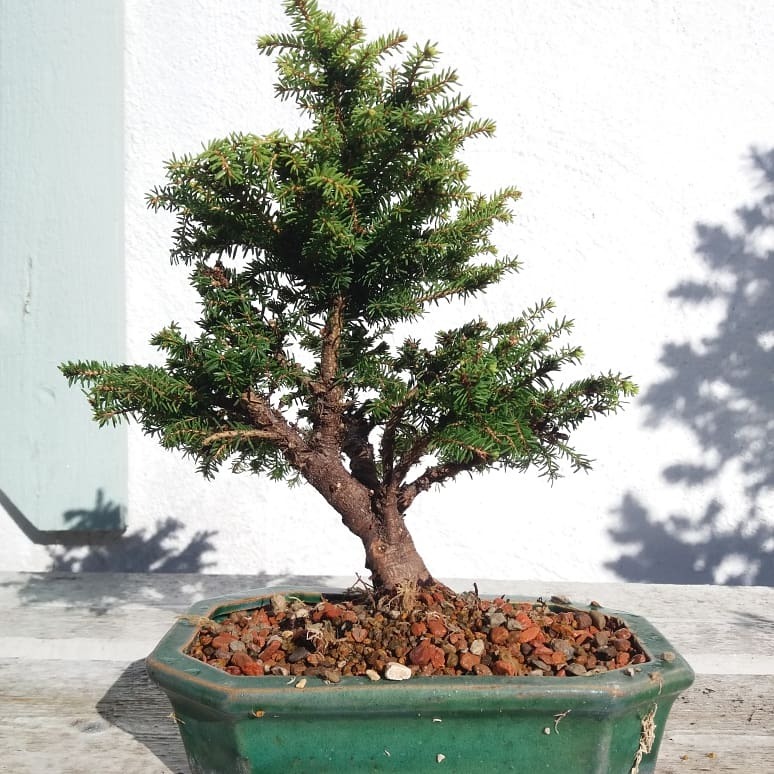 The first couple of years I keept it in a little pot. 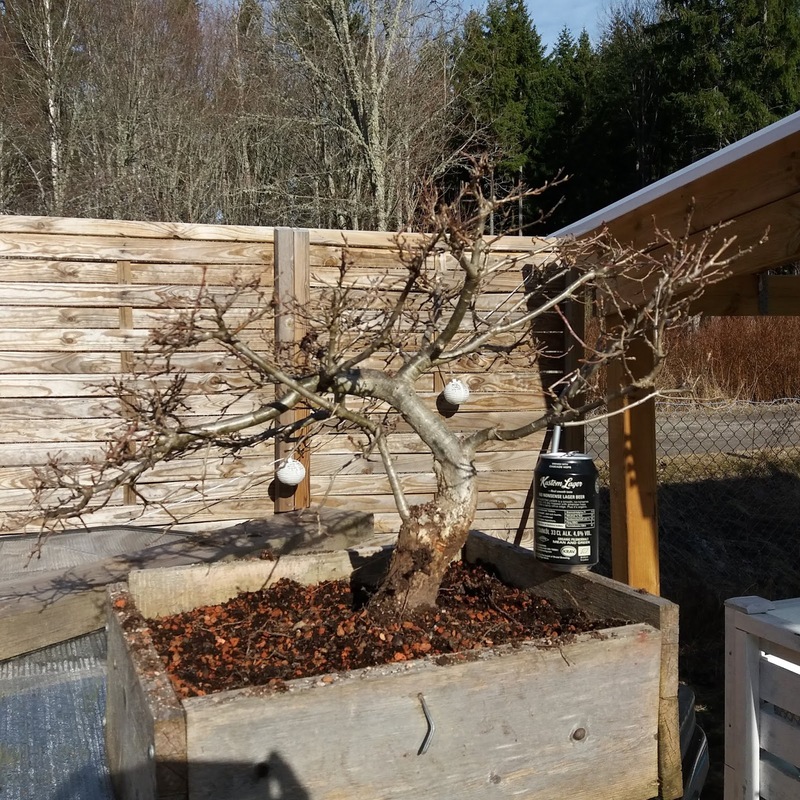 I have been working seriously whit it the las 6 years but have only been focused on geting it bigger. 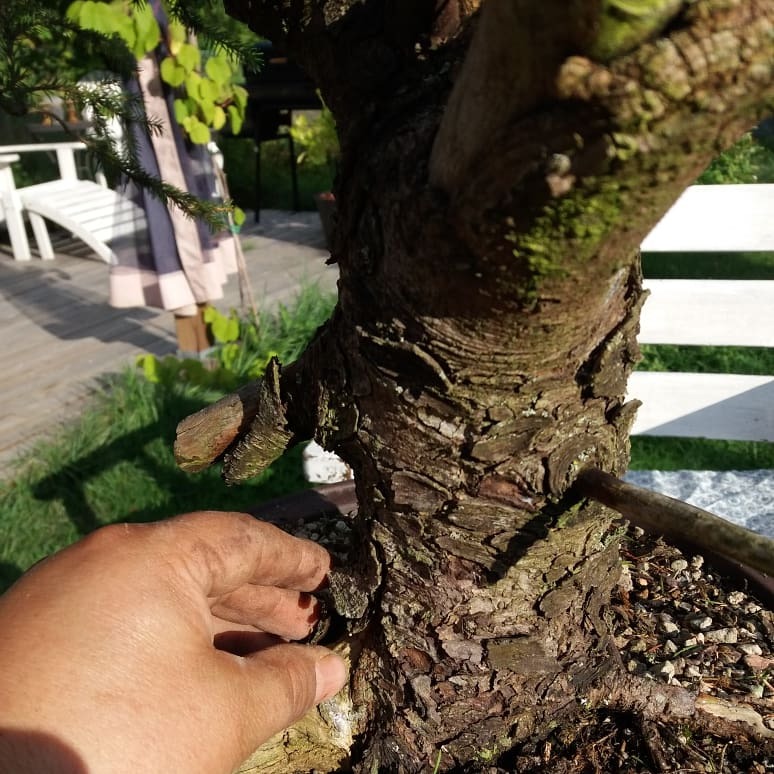 The fine branch work is now ahead. 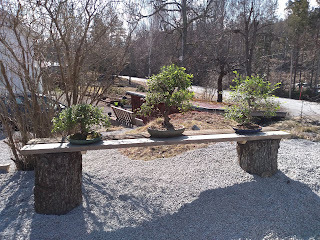 Mars 2019 The angle of the photo is a little bit off. 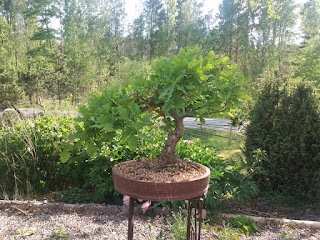 This is a yamadori Quercus Robur wich I have developed since 2017. 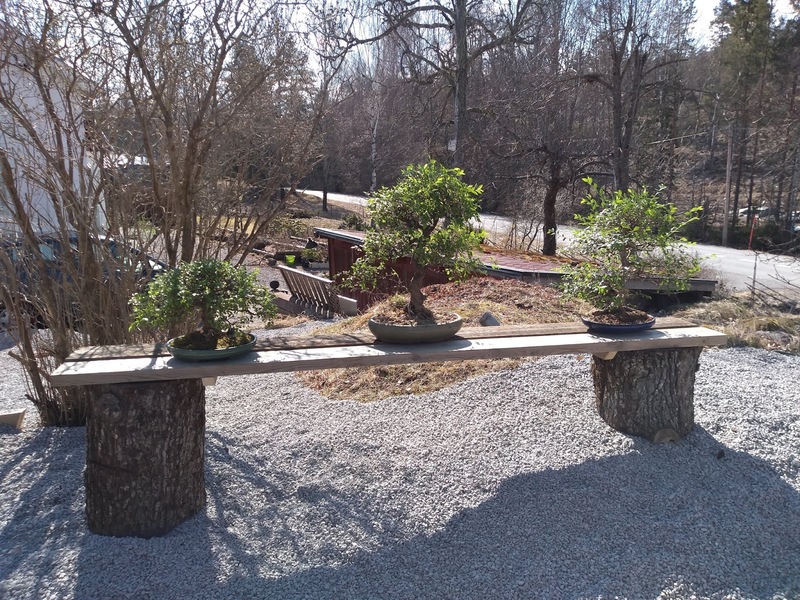 The Oak bransches will be rearranged this year. 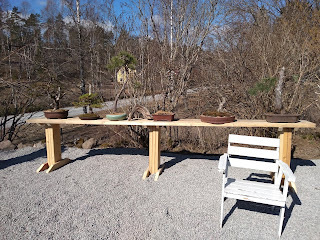 The pot size is about 60 cm diameter. 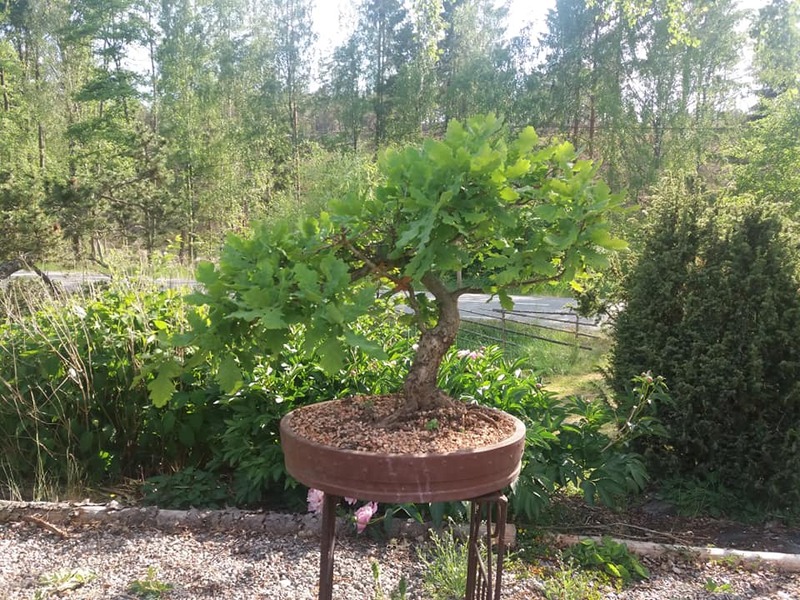 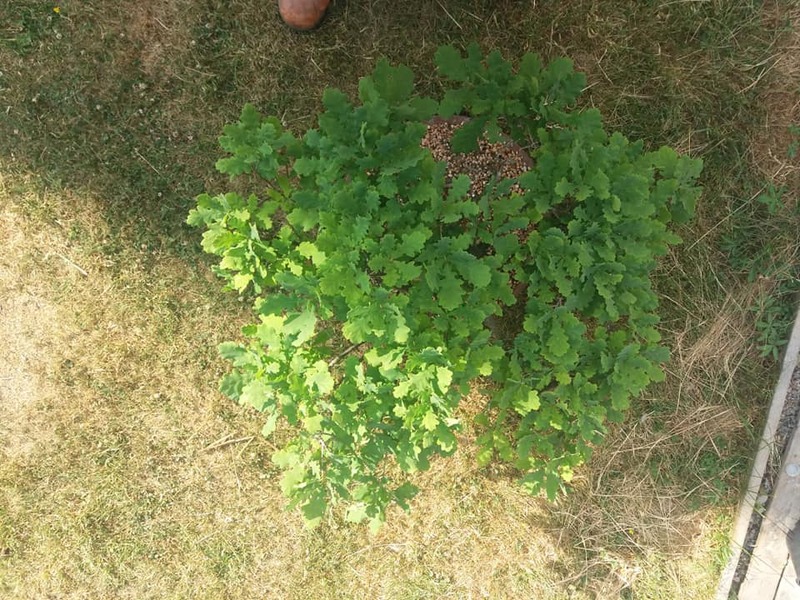 The pictures of the oak in fully leaf are from 2018. The picture with bare bransches are from 2017 when i dug it up. 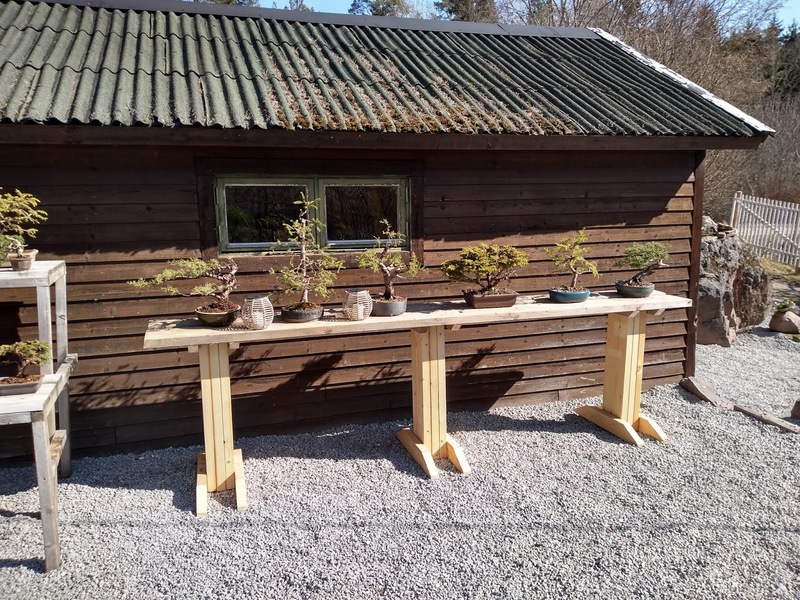 Finally I have build a Bonsai visitors corner! 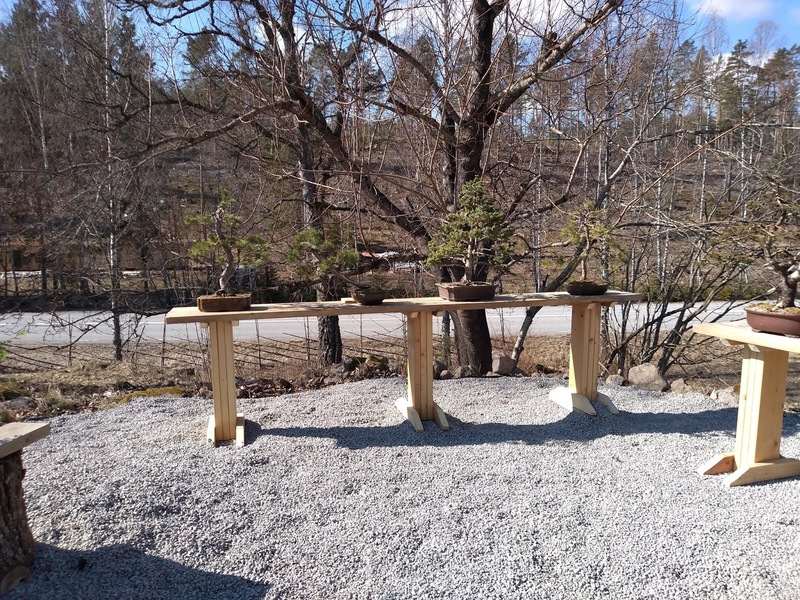 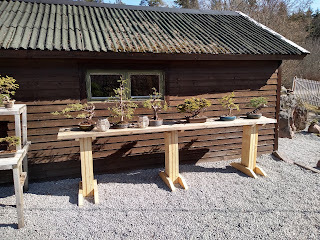 Allready now I can see that I will need more benches, because I have some more bonsai in development.